GOOD. Red Paperback. Approx. 8" x 5". 397pp. Bumps/chips to edges and corners. Heavy rub wear. Lots of scratches and dust markings to paperback covers and spine. Corner crease to front cover. Previous owners name written of fly page. 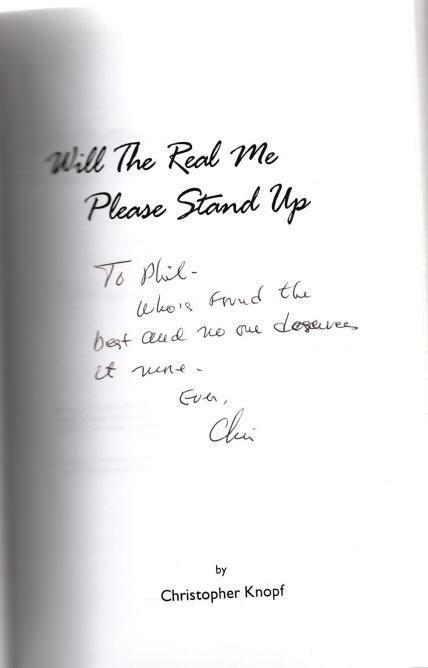 *AUTOGRAPHED/SIGNED* by author Christopher Knopf with personalized inscription and note to Phil on the fly page. GOOD. Red spine with gray glossy photo illustrated front cover, approx. 9'' x 6'', 252pp., small creases to bottom spine end and top corner, larger lighter crease to to bottom corner, gray smudges to bottom page edges and edges of bottom corner. VG. 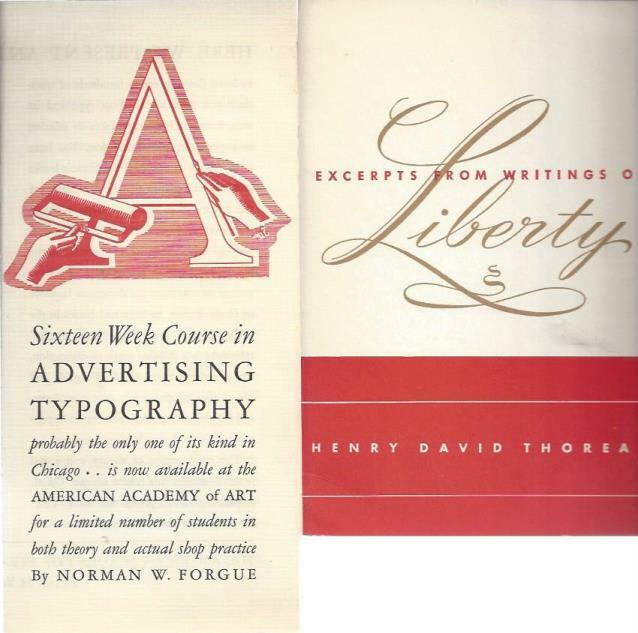 Four undated pamphlets, circa 1940, including "A 12 Week Course in Advertising Typography," "Sixteen Week Course in Advertising Typography," "A Class in Creative Typography," and "Excerpts from Writings on Liberty" by Henry David Thoreau (unstated but assumed to be printed by Norman W. Forgue). all with very light wear and tiny chips to edges. GOOD/GOOD-. Red dust jacket, dust jacket in archival plastic protector. Approx. 9" x 6". 209pp. Bumps/chips to edges and corners. Small dirt smudges along book cover edge and near title. Rub wear. Crease to top of spine. Closed tear to back cover. Red marker markings on front cover. GOOD. Red paperback. Approx. 9" x 6". 259pp. Rub wear. Bumps to edges and corners. Dust markings to front and back cover. Clean pages, no highlighting or notes.